Background/Info: Minor Key saw the daylight somewhere in the midst of the 90s and got reactivated after a long break. Anders Sandberg got involved in different band and projects; Project-X probably being the most famous one. 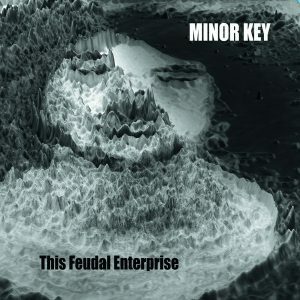 “This Feudal Enterprise” is the debut album of Minor Key, symbol of the band’s resurrection. Content: Minor Key is revisiting and reworking different elements of electro-pop music. 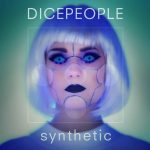 The tracks move from body-pop to technoid arrangements to sophisticated sound treatments. 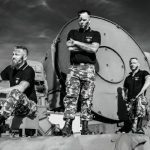 You now get the impression that this Swedish project is inspired by Pet Shop Boys (for the most poppy and happy side of the album) and next influences by Haujobb (for the sound intelligence). + + + : Minor Key achieved an atypical production, which is easy to label as ‘electro-pop’ music, but quite diversified in its format. Andreas Sandberg is not exactly reinventing this music genre, but he accomplished an interesting mixture between different influences. I also fully enjoyed the impressive welfare in sounds and the cool effect on the vocals’ production. “This Feudal Enterprise” is a cool surprise revealing a band with a creative approach and promising production. – – – : The work is somewhat different from the familiar ‘pop’ standards and that’s maybe an element that makes the work less accessible for a wider audience. Some parts are maybe too complex to be simply labeled as electro-pop music, but the main point according to me is that there’s no real ‘hit’ song featured. Conclusion: Minor Key created a kind of pop synthesis, which is assembling and mixing different elements. I like the band’s creativity and even if there’s a hit missing, I noticed multiple cool and accomplished songs. I can only, but encourage Minor Key to go on! Best songs: “Diplomacy”, “Beacon”, “Parisyte”, “Acclimatize”.